Teelo - Purple mask, turned on the group in 2018. 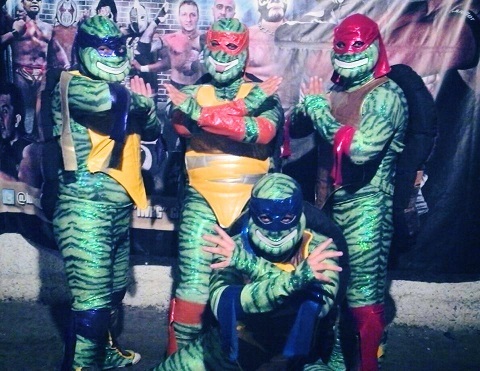 A new group of Ninja Turtles created by IWRG that debuted on October 5th, 2014. This page was last edited on 12 June 2018, at 03:03.